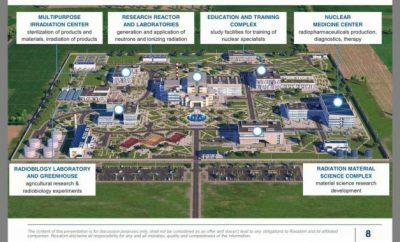 Construction of the controversial nuclear centre in Chongwe district is scheduled to commence in the first quarter of 2019. Higher Education Minister, Prof Nkandu Luo said the project will be done in phases over a period of 7 years. Prof Luo said capacity building for nuclear technology has started through empowering of local universities as well as sending Zambians to study nuclear science abroad to enhance skilled manpower for the project. Luo said this on Friday when she received the valuation report on nuclear development infrastructure for Zambia from Rusatom Service of Russia who have been engaged to carry out a valuation study by the Zambian Government. The project was early this year rejected by the local people in Chongwe under Chieftainess Nkomesha and the ‘consultative’ meeting between the traditional leadership and government ministers was characterised with sharp exchanges between Chieftainess Nkomesha and Nkandu Luo. Later after that meeting Luo maintained that the project would go ahead in Chongwe despite opposition from the local people because the land in question belonged to the government.